The next generation TOUCH markers are finally here! ShinHan Art proudly presents the next generation TOUCH markers for artist and design professionals. 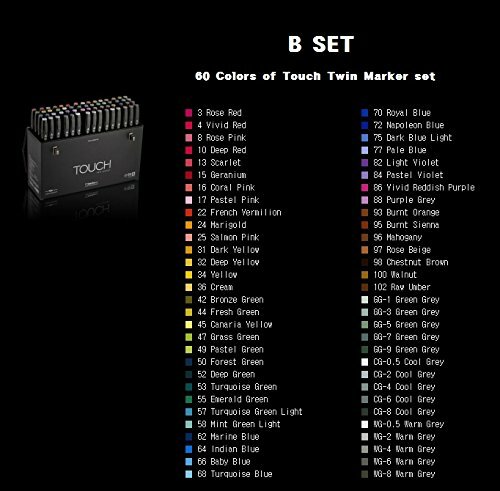 Available in both twin and brush types, the TOUCH markers offer artists a widest range of line thickness for all kinds of design. If you have any questions about this product by shinhan art, contact us by completing and submitting the form below. If you are looking for a specif part number, please include it with your message.